Learn how Maryland Oncology Hematology transformed its day-to-day lab chemistry workload. 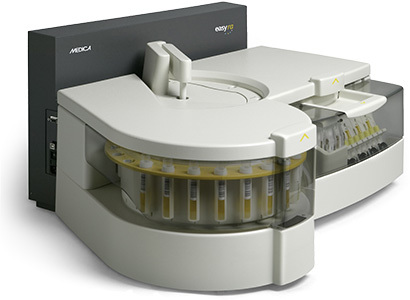 Medica’s EasyRA® analyzer is a fully automated clinical chemistry analyzer that accommodates the diverse needs of small laboratories. Lab technicians become experts with minimal training thanks to a simple and intuitive user interface. Four color-coded icons guide the technician through all analyzer functions. EasyRA is quickly operational and ready to run samples. Friendly displays clearly signal the progress of a run and easily allow changes. Technicians can analyze stat samples in less than 8 minutes. Save valuable time by programming the next worklist while another worklist is running, or simply check reagent and cuvette inventories to prepare for the next run. The EasyRA clinical chemistry analyzer offers unprecedented access to all replaceable components. Its unique, slide-out drawer makes maintenance quick and easy. RFID technology eliminates the need to manually program reagents. When the smart reagent wedge is placed anywhere in the reagent area, EasyRA identifies location, number of samples remaining, sample volumes, and expiration dates. With 300 tests per hour (480 with integrated ISE), 24 sample positions, 24 reagents on board, and more, EasyRA is the easy choice for your laboratory’s clinical chemistry analysis needs. 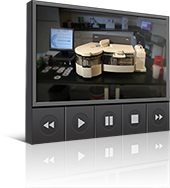 See the EasyRA Clinical Chemistry Analyzer in action. Discover how the EasyRA can lower costs and improve patient care.